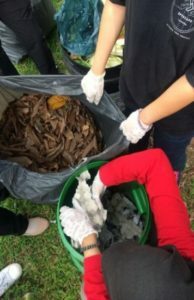 JOHOR BAHRU, 1 Nov – It is always good and beneficial to not throwing the waste and reuse it for something else. 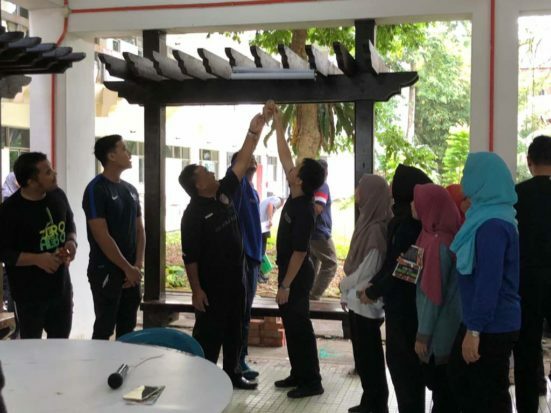 This is the aim of the Greenknight team to turn waste items to usable ones during the Universiti Teknologi Malaysia (UTM) Gotong-Royong Perdana program. 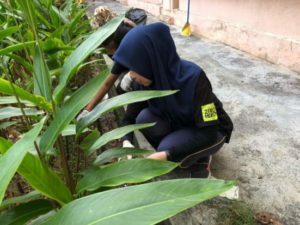 Greenknight, consists of forth year landscape architecture students from EARTH Society, Faculty of Built Environment and Surveying (FABU) collaborated with the staff and students to spread awareness on green lifestyle and also to clean the faculty’s environment in preparing for convocation. In this program, 100 participants were divided into four groups to clean the areas that were zoned accordingly around the faculty. Simulation on composting was the main activity conducted by Greenknight team and EARTH Society representatives by using food waste from food courts near FABU as well as waste obtained from gotong-royong session. 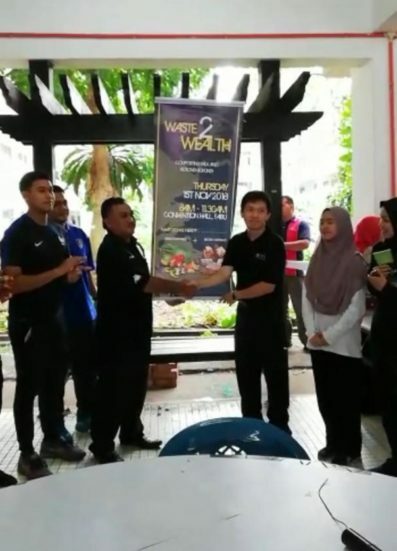 The program was called “from waste to wealth” because they transformed waste and rubbish into compost fertilizer. The first step in the composting process was to look for a flat landed location to lay the compost barrel. The first layer is a layer of ‘brown’ or carbon. Participants placed carbonated materials such as newspapers, dry leaves and egg boards. Step two was to lay the ‘green’ layer or nitrogen. This layer consists of easy-to-use food waste from home. Among the ingredients are vegetables, fruit skins and fruit residues. The required carbon and nitrogen content is 3: 1. Next step was to lay the ‘brown’ layer back. This method is repeated until the carbon and nitrogen content is balanced. 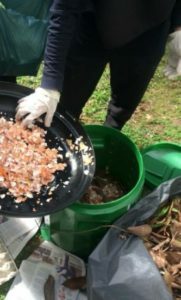 The resulting food waste can be reduced and used as compost fertilizer. 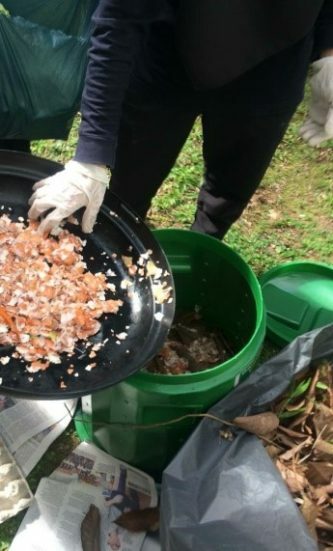 Compost Layering technique was applied in four compost bins which were provided by Majlis Bandaraya Iskandar Puteri (MBIP) and EcoKnights. These bins would be monitored by the EARTH members every fortnight. The product produced would be used for this upcoming SHIP event on 12 January 2019.